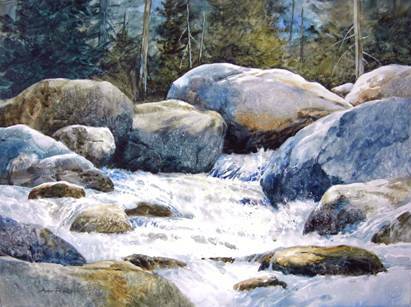 This is a great time of year to get some exercise and gather photos and sketches of streams swollen from snow melt. 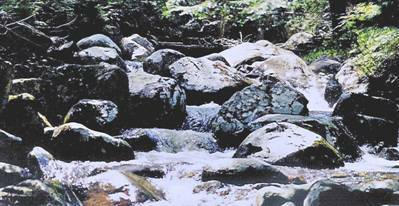 We are blessed with numerous streams that carry water down from the Adirondack Mountains to Lake Champlain . 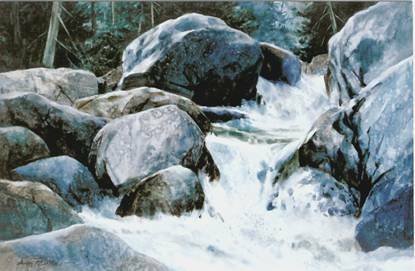 This stream in Lewis , NY , inspired several paintings in which I explored the rock shapes and light patterns with various interpretations. They are all painted on Strathmore 500 series, 5 ply, High Plate finish (smooth) Illustration Board. 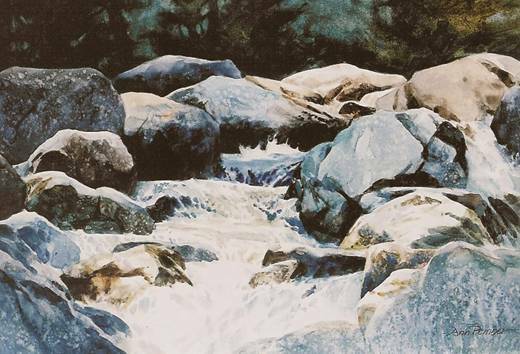 This surface encourages the wonderful textures of water and rocks. Traditional watercolor paper could not have produced the same results. They could be made by painting on watercolor board, gesso or gel medium coated surface, or on Yupo. The results vary somewhat, but all produce textures and allow lifting back to white. In Cool running the water has a softer look and seems less jumpy. I also added more background interest. That led to rushing Water, in which I gave more attention to the trees in the background; perhaps too much attention. I chose a long format for cascade on the Ausable. This permitted a composition that showed the expanse of the stream. I tightened up on the amount of background, just giving enough information to suggest trees. I designed the rocks to make a pleasing pattern with a variety of sizes and shapes.